Neteller is a popular payment method that has been processing billions of pounds worth of transactions on an annual basis since 1999. It is a simple, fast and secure way to transfer money online. Businesses and individuals from more than 180 countries put their trust on Neteller every day. 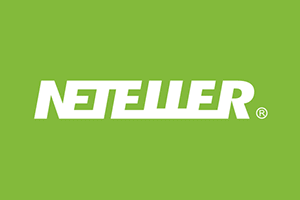 To date, there are millions of bingo, poker and casino players worldwide using the Neteller eWallet payment method to deposit and remove funds from their gaming accounts; and because Neteller is authorised and regulated by the Financial Services Authority in the UK you can feel absolutely safe using it. Neteller’s industry leading security measures and anti-money laundering protocols ensure that players are fully protected against identity theft and fraud. Signing up to Neteller is very simple and won’t cost you a penny. All you need to do is register an account on their website and then confirm your identity to activate it. Your identity may be verified via a telephone call in which the Neteller customer services team will ask you several security questions in order to avoid potential identity theft. After your account is activated you’ll be able to transfer funds in and out of your eWallet. Players can deposit funds into Neteller using a wide range of deposit methods including debit cards like Maestro, Visa Debit and Visa Electron; credit cards like MasterCard and Visa; and bank transfer. The majority of the deposit options available to players are instant so the inconvenient waiting for funds to appear in your bingo account is done away with. Neteller’s customer services team are very professional and keen to help. Customers can get help through the Neteller website, via Twitter where you can get in touch directly to a support team member, or they may even call you if you so wish to help you with anything you may require. All in all, Neteller is a great payment method to use to manage funds in your bingo account so register with Neteller today!